The other day I spent some time poking around Japanese Sewing Books, the blog of Yifarn, a mom of two girls in Singapore. Like many of us, she adores Japanese sewing books for their distinctive aesthetic. Along with articles on how to use the books and a glossary of common terms, the website offers lots of links to free sewing patterns. Yup, they're all in Japanese, but it's possible that clever sewists might have enough to go on to make some of the projects. I'm definitely not one of those people, so I'm content just to admire the pictures. The projects above can be found here, here, here, and here. Also useful: quilters can find free patterns in English here. Hmmm... those could be a fun challenge! There are a number of machine translation tools out there. Google Translate is an easy tool to help turn beautiful Japanese script into mostly discernable English for us not so cleaver sewists! I'll try the grey bag. Want me to make you one of those, Jess? Hi ,thanks for sharing the link. Really appreciate it. Have a great week ahead. The Nani Iro site has tons of pretty patterns but it looks like you have to draft the pattern pieces yourself from their diagrams... And then follow the instructions in Japanese. Not sure I can cope with all that! I have a fabulous hard-to-find Japanese book about hexagons, called Patchwork Lesson. Interestingly, the titles of each project are in English. Everything else--Japanese. I do see they are all in Japanese but there are alot of pictures if your feeling daring and ready for an adventure I think these would be great to try. I love when your mom leaves a comment!! About this, thank God for google translate! I have a hard time following sewing patterns in English so I'm sure I would be at a loss with these books. I'm very happy to admire the wonderful photos instead :). Oh, How About Orange, how do I love thee? Thank you for yet another bunch of great links. The Google Chrome auto translate option for these patterns was really funny! I like seeing the blogs in other languages, kind of nice to know there are others all around the world that love the same things I love! Hi Jessica, Thanks for the mentioning my blog on yours! Hope you guys find it useful! Thanks for posting these. I love the minimalist/ cute Japanese craft style. 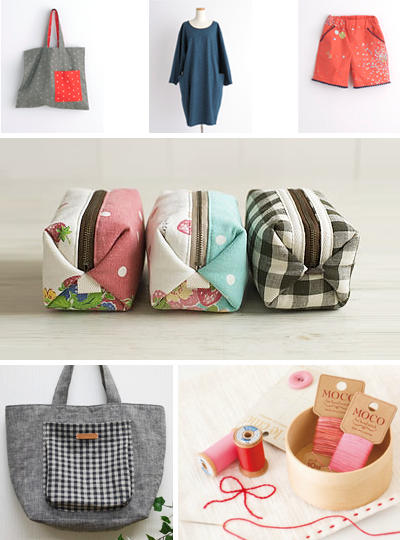 Oh, this is a great blog, and that list of free patterns is to die for! Nobody should be at all intimidated by these patterns - I don't speak a word of Japanese, but the diagrams are very clear, and all the measurements are in centimeters and in roman numerals. thanks for your blog. i allways come back and find interesting, creative ideas :)great link.